Narrow beech fern on Calvert Island. Photos by, clockwise from top left: Brian Starzomski (shoreline seepage), Chanda Turner, John Reynolds (forested river valley), and Sara Brooke Benjamin. This perennial species usually grows as a single, solitary frond arising from a thin, creeping, and slightly scaly rhizome. The fronds are present throughout winter, and grow to 40 cm tall. 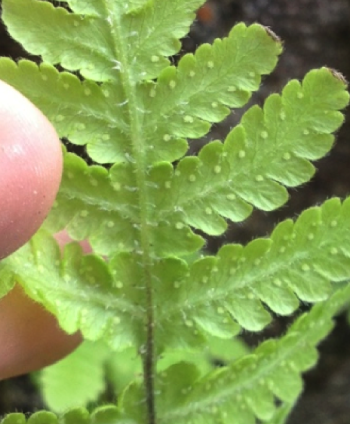 The long stipe (stem) is at least the length of the fern's blade. The blades are triangular or oval in shape and bipinnate. Both top and bottom surfaces of the blades are hairy and the bottom pair of leaflets point away from the the rest of the blade. Sori are more or less circular, and are found on the underside of blade. 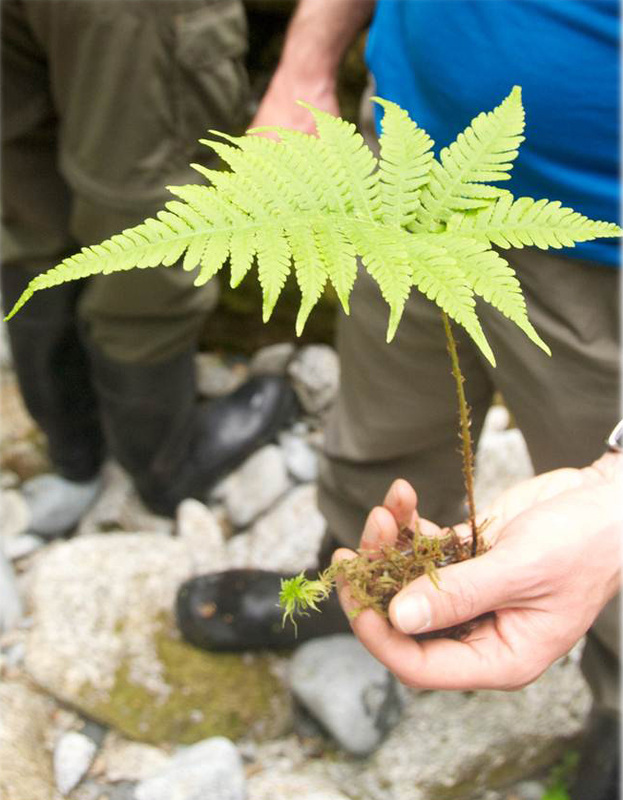 Narrow beech fern grows in moist or wet, calcium- and nitrogen-rich soils at lower elevations. It grows well in moist forests, near streams and bogs, and in seepage areas. It is most common in coastal areas that see high precipitation, such as Haida Gwaii. 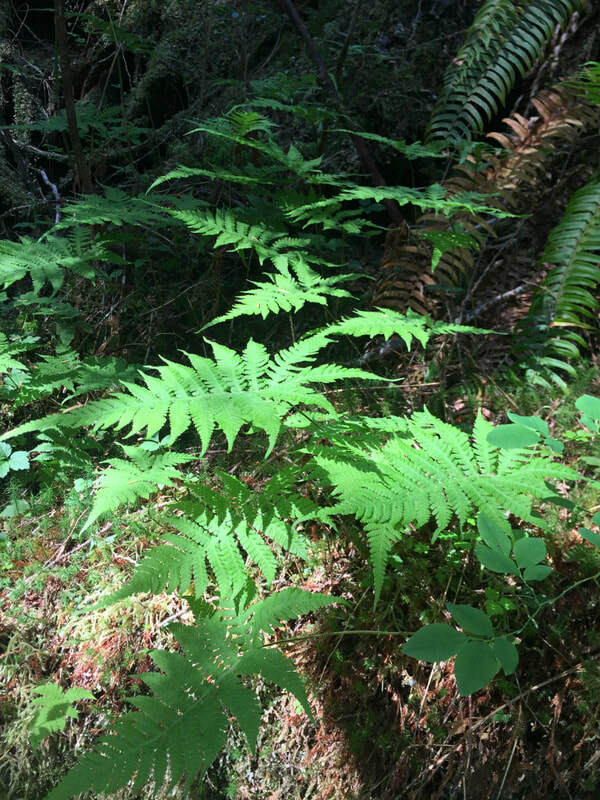 Narrow beech fern is not found frequently in most of BC. However, in areas where it is found, it can be locally abundant. It is a circumpolar species, and isn't found south of Oregon. Its range includes the east coast of Canada and the United States, as well as parts of Eurasia. Mountain fern (Thelypteris quelpaertensis) is similar to narrow beech fern, and is also a coastal species. 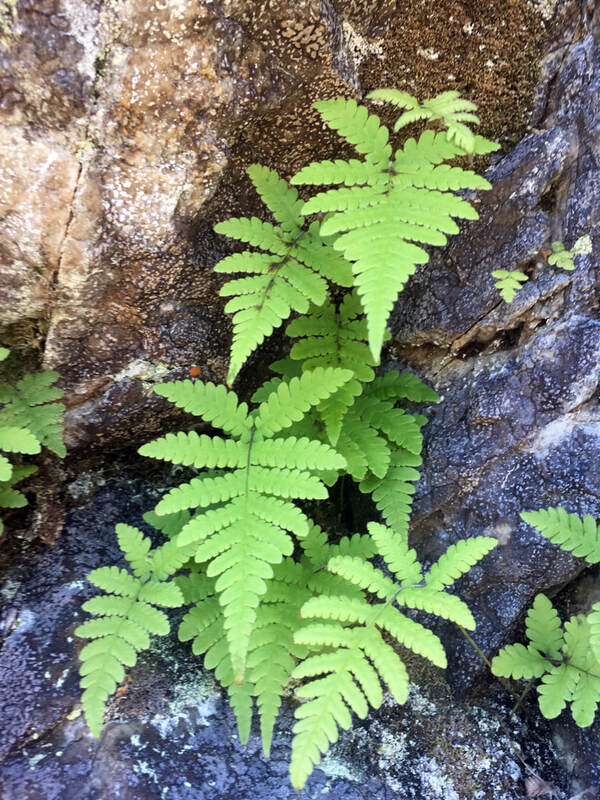 However instead of triangle or oblong shaped blades characteristic of narrow beach fern, mountain fern has diamond shaped fronds, similar to lady fern. Also, crushed mountain fern blades release a lemon-like aroma. Another common name for this species is "cowboy fern." This name comes from the downward orientation of the lower leaflets, which was thought to resemble the downward point of spurs, or the bow-legged look of a cowboy. While phegos translates as oak, the common name oak fern was already taken. Phegos was deliberately mistranslated to fagus, which means beech. Phegopteris connectilis (Michx.) Watt. long beechfern; narrow beech fern. In Klinkenberg, Brian. (Ed.). E-Flora BC: Electronic Atlas of the Plants of British Columbia. Lab for Advanced Spatial Analysis, Department of Geography, University of British Columbia, Vancouver. Accessed on 03/04/2013. Pojar, J. and MacKinnon, A. (1994). Plants of Coastal British Columbia, Revised. Vancouver, BC: Lone Pine Publishing. P. 423. Bea Proudfoot, Chanda Brietzke and Brian Starzomski (2013).